27th Jan – 31st March – Aberdeenshire Duathlon Series – a great series to get stuck into. A mix of running and biking and a great intro into duathlons which could lead into triathlons! 16th of March – The Mighty Deerstalker – A 10k and then some which is run in the dark. This year they are giving the option of the DOUBLE deerstalker! 16th of March – Newburgh Beach Bash – If you want a decent medal and a great selection of cakes post-race get involved with this one! A 10k along the beach, currently sold out but keep your eyes peeled for ticket swaps or get your name on the waiting list. 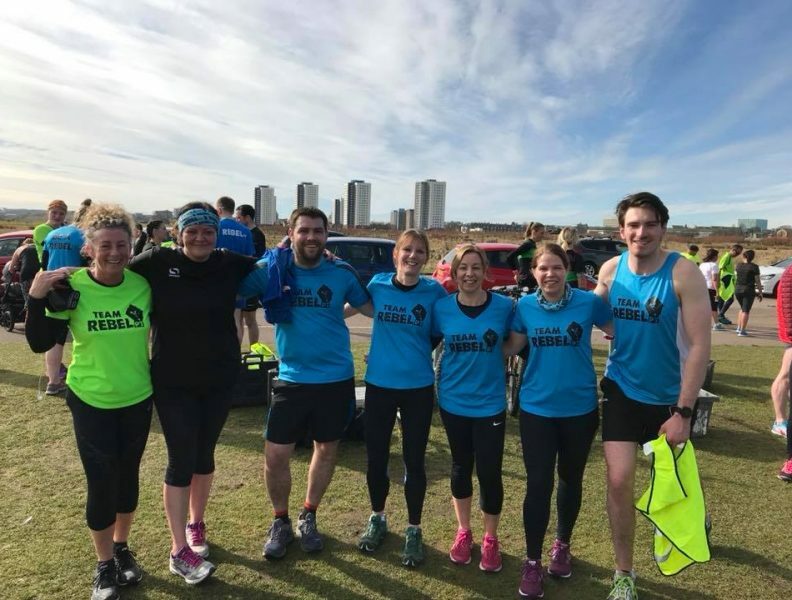 24th of March – Run Garioch – You have the options of 5k, 10k or Half Marathon and there is always a good crowd of Rebels taking part and supporting. 28th April – Stirling Half / Marathon – The option of a half marathon or a full marathon and it’s not too far away from home either! 4th of May – Tiree 10k or Half Marathon – 2 years ago it was Skye, last year it was beautiful Harris this year we are all boarding to Tiree! Get involved :D Although the races are full feel free to come along for some kayaking and windsurfing! 5th of May – Baker Hughes 10k – Another big Rebel run-event and a great one for support, atmosphere and smashing those PB’s. 24th & 25th of May – Edinburgh Marathon Festival – A 5k and 10k on the Saturday and half marathon & marathon on the Sunday. You can do the marathon in a relay team which looks quite fun if you can find some team mates! 25th of May – Kayleighs Wee Stars Barra 10k – Doing a 10k while supporting a great local charity. A few Rebels have done this one before and thoroughly recommend it! 9th of June – Fraserburgh 10k – This run usually sells out and is a nice early summer 10k to do just up the road. 16th of June – Banchory 10k run – This is the first year this one has ran and we always love supporting the local ones! It’s a multi terrain, hilly 10k but remember what goes up, must come down! 23rd of June – Ythan Challenge – We have only heard good things about this one and a few Rebels have done it before! It’s a multi-terrain adventure race which includes straw bales, killer hills and the river itself! 23rd of June – Westhill 10k – Another great local run. You’re bound to spot rebels running and out on the streets supporting this one! If you don’t do it for the run do it for the Rebel warm up ;) They also do free kids races from P1 to S4. 14th of July – Chapelton of Elsick 10k – Just 10 mins down the A90 and you’ll find Elsick. Rumour has it there is a cheeky hill thrown in. They hold a 100m toddler dash and children races too. 16th / 17th of August – Aberfeldy Triathalon – The option of a sprint triathlon or (ever so slightly) longer triathlon. Could be a great weekend adventure! 25th of August – Great Aberdeen Run – When it’s on your doorstep you can’t exactly say no can you? *you can’t* 1/2 marathon or 10k. Loads of support on the street, can’t recommend it enough! 31st of August – Inverness Beast Race – The Rebels are returning to Inverness for the Beast Race after absolutely loving it out there in 2018! Speak to your trainer to join the team. 7th of September Glenmore24 – They’re only running an individual race this year, so you have the option to sign up to run for the 12 hours or 24 hours…! A couple of rebels are taking on the challenge this year, go along to support them, it’s always a fun weekend! Date TBC but usually around 15th of September – Crathes Half Marathon – an undulating course with super scenery! Keep your eyes peeled for this one. 21st of September – Banchory Beast Race – If you don’t make it along to the Inverness Beast Race, get involved with the Banchory one! Usually our biggest event of the year, with an epic after-party. 29th of September – Bennachie Hill Race – Another favourite hill race which we’ve been attending since 2014! It’s got that great local feel to it with lots of cakes to enjoy afterwards which you well and truly deserve. The views at the top are epic! 5th of October – Glack Attack – A really fun and probably the MUDDIEST ever 5k run you could do. All about having fun with lots of natural obstacles. A great one to do in a team. Date TBC but usually around 3rd weekend of Oct – Loch Kinord 10k – if you don’t do this for the views of the Loch do it for the cheese in the goodie bag! Another race with a great local vibe. 6th of October – Loch Ness Marathon – a few Rebels doing this one so you won’t be short of a long run buddy! Beautiful scenery and a chance to spot Nessie. 13th of October – Aviemore10k & 1/2 marathon – Another great one for a PB! A lot of downhill and some beautiful scenery along the way. In 2017 we made a camping weekend of it too! 26th of October – Illuminator Night Run – They have really changed this up this year so it’s going to be interesting! You have the option of an 8k, 15k or 15 miler! What will you choose? RebelPT is an outdoor, fitness and social club in Aberdeen. We’re a community that believes in long term healthy lifestyles. 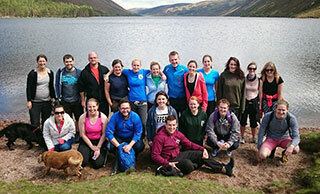 We like to get fit and keep fit through outdoor exercise and group adventures. Which park are you interested in?